Ashley Sutton has been a busy man. Dear Lilly marks the Australian designer’s fifth Hong Kong project – following the similarly fantastical J Boroski, Iron Fairies, Ophelia and Yojimbo – in less than two years. 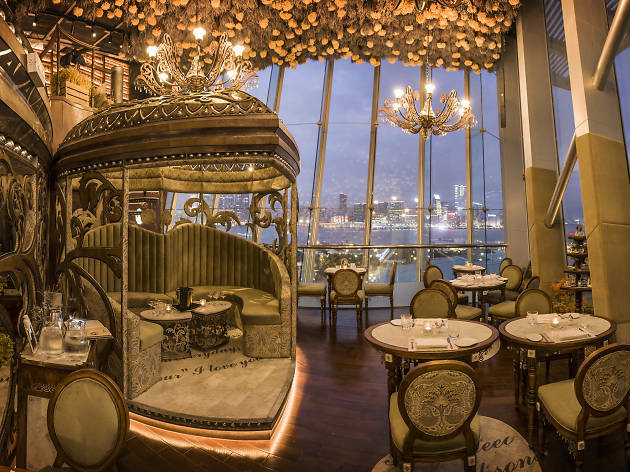 With a swooning, floral theme, this new venture promises modern western fare and carefully crafted cocktails – all served with an amazing view of Victoria Harbour from the IFC. Centred around a clear theme – romance – Sutton has effectively brought to life his adoration for the enchanting aspects of love. The result is a charmingly bonkers medley of bouquets, trinkets, perfume bottles, love letters and carved wood that deserves to be seen as it’s quite beautiful. We kick off with Dear Lilly’s take on the old fashioned, its Orient Express ($120) – single malt whisky, mandarin bitters, Aperol and Dubonnet. It’s a triumph, the later ingredient mellowing out the more acerbic elements, elevating this classic rather than miring it in citrus hell. 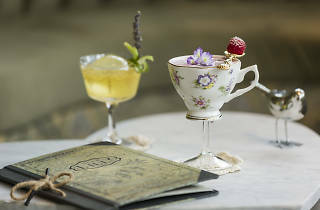 Although very much as a cocktail bar, a large onus is put on the food at Dear Lilly – no pork scratching here (sadly). 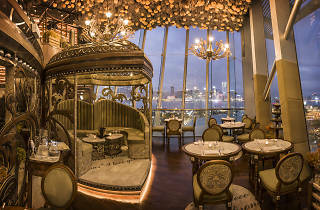 Instead, the menu is a tidy jaunt through contemporary western eats with special focus given to the Mediterranean. We opt for a short rib burger ($188) with cheddar cheese, spicy mayo and fries. The patty is cooked to perfection – succulent and tender, one of the best burgers we’ve had for a while. We round things off with an appropriately dessert-savvy drink by way of the Brothers Lumière ($120), which builds on a foundation of Cachaça with lime juice, passion fruit puree, coconut syrup – shaken with cream and chocolate bitters. Much like the pseudo old fashioned we tried earlier, balance is key here. It’s achieved, again, with aplomb, the Cachaça a robust enough spirit to make this feel like an actual grown up drink. 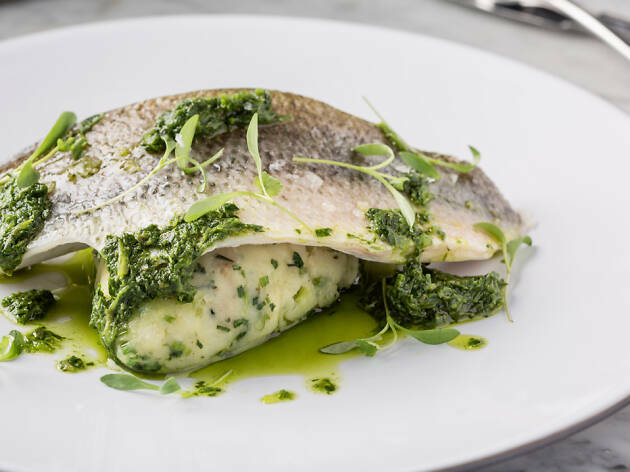 At the end of the day, when you strip back all Sutton’s design flourishes, Dear Lilly is a reasonably priced bar, especially given the prime real estate in which resides, that serves excellent food and drink. That may sound pedestrian as a summation, but given the sheer level of spectacle on display, it’s be easy to write the venue off as a load of smoke and mirrors. 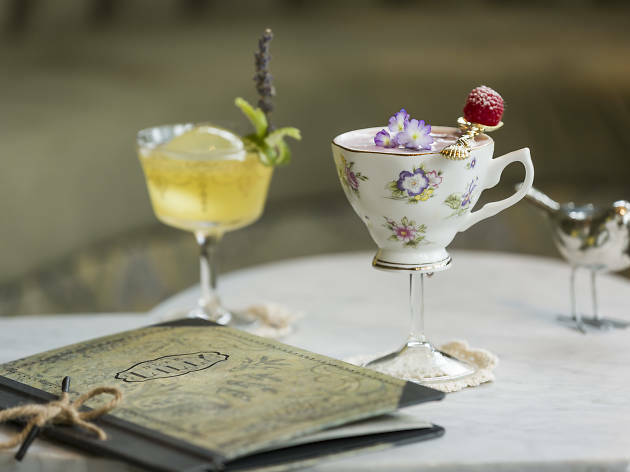 But Dear Lilly does the basics extremely well, putting any punter in the privileged position of enjoying whimsical surrounds with uncompromised food and drink. And that’s something to be celebrated.